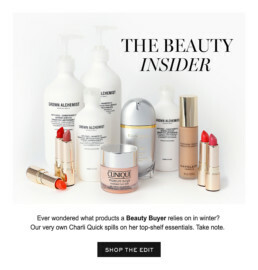 The Beauty product category is a top seller for Myer, Australia's largest department store group. Pre-empting the typically unkind winter season in Melbourne, the Myer Digital Services department created a series of editorial newsletters with advice and tips from beauty experts. The newsletters were regularly emailed to Myer shoppers who had previously purchased Beauty products. 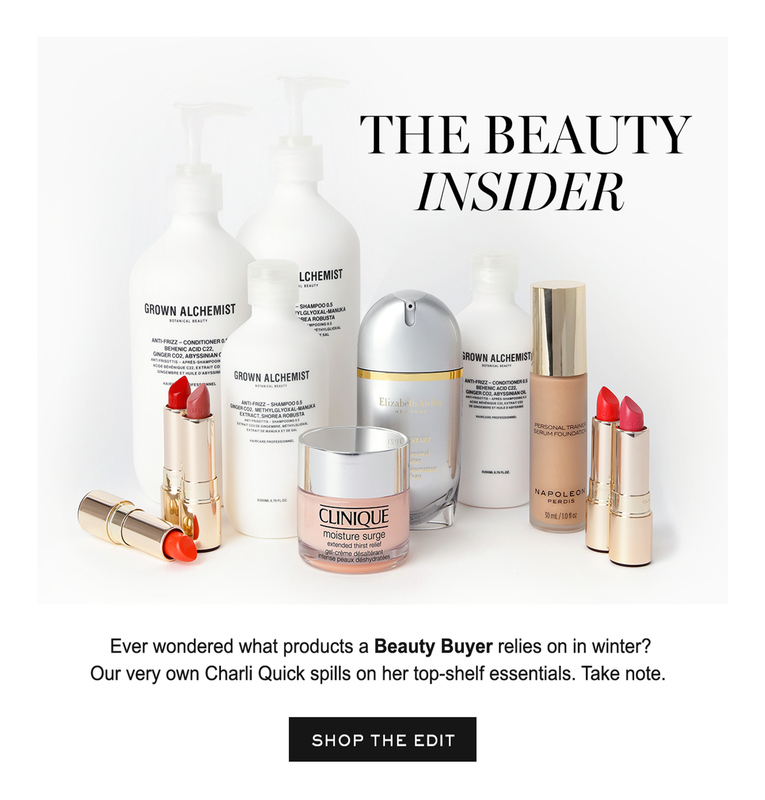 The Insider newsletter focused on products which could be used to treat and revitalise skin and hair in harsh winter weather. 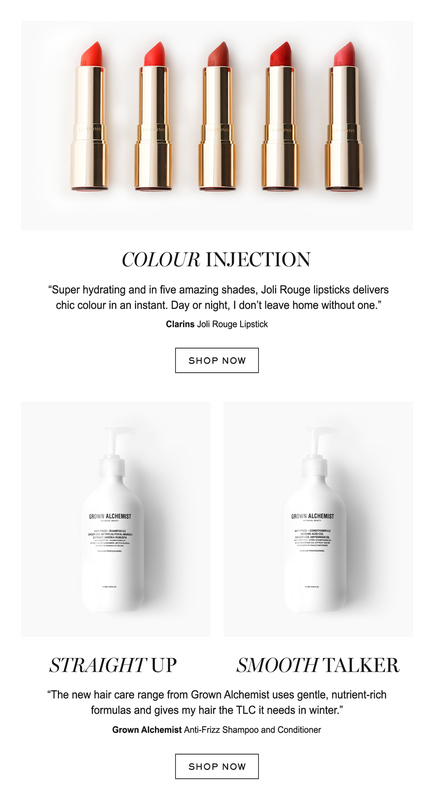 I art directed the photo shoot, retouched all shots, and designed the newsletter using a minimal look-and-feel to reflect the pragmatic tone of the newsletter copy. 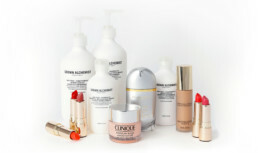 The featured products were chosen for their clean, minimal feel, and shot on a white background. We introduced bright red lipstick for a splash of colour - a necessary ingredient in getting through the cool heart of winter. 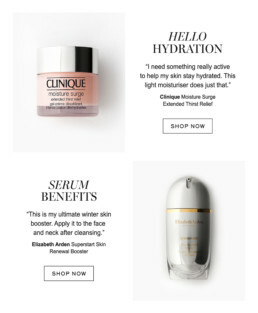 Each hair care, skin care and makeup product came with a direct quote from Myer Beauty expert Charli Quick, outlining ways in which to battle and protect against harsher winter conditions, thus enticing purchase. A stripped-back colour palette was used to create a clean, classic wintery feel. This look and feel was also in line with the pragmatic advice offered by the EDM.